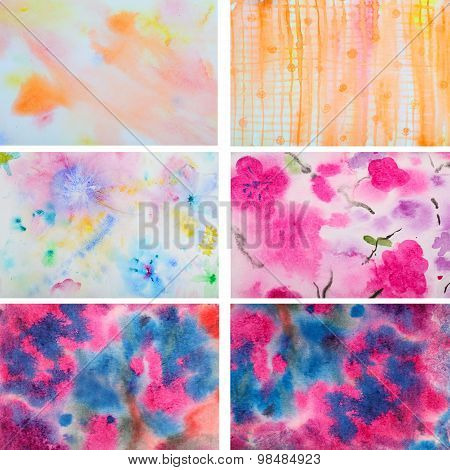 Set of 6 abstract watercolor background. Multicolor background. Grunge Background. Painting Background. Vintage Background. Art background. 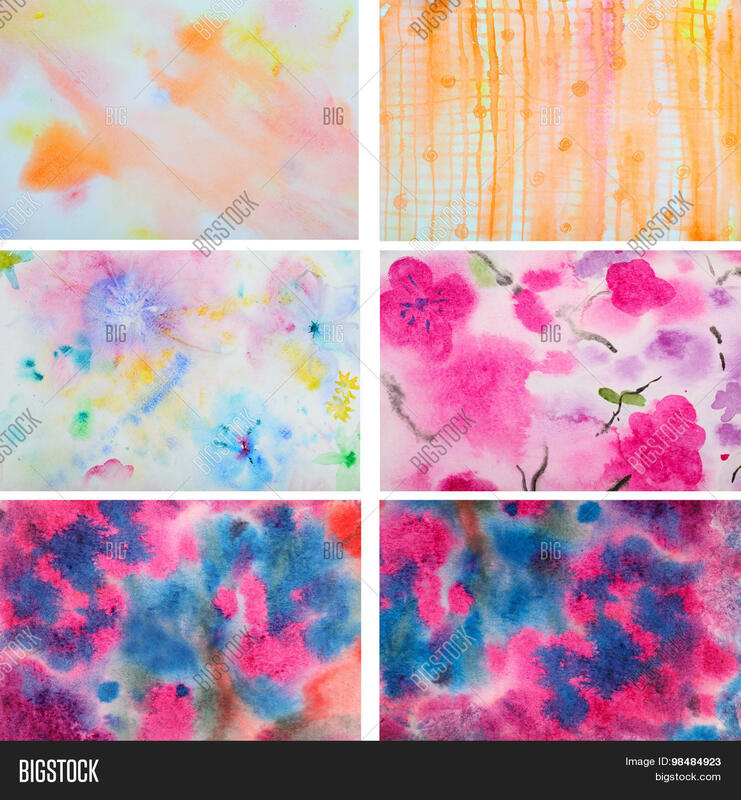 Hand draw painting background and texture.